Sterling rallied Tuesday on fresh hope that British Prime Minister Theresa May would avoid a chaotic no-deal Brexit, while global stock markets recovered. As Wall Street shrugged off more weak economic data to push higher, the pound jumped as high as $1.3262 in London morning deals, before tempering the gains by the afternoon. The euro fell as low as 85.25 pence on hopes of an orderly departure from the European Union on April 12. 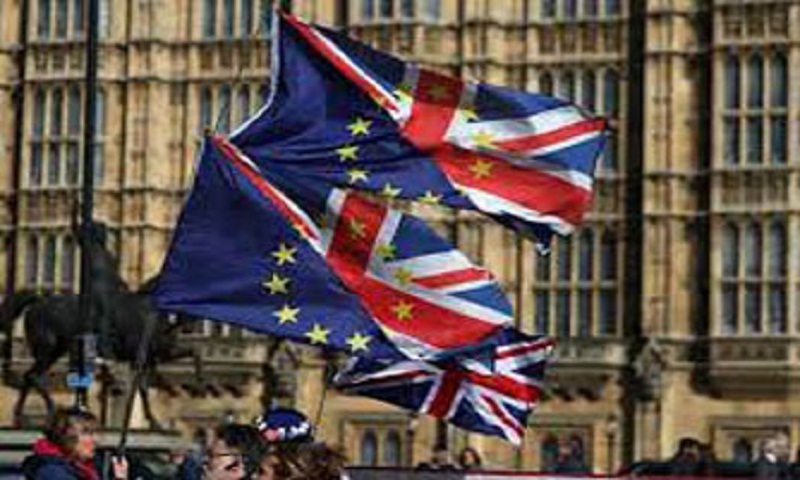 The remarks came a day after Britain’s parliament seized the initiative in a historic vote to give MPs a broader say on what happens next, creating time to come up with their own Brexit proposals as Britain tries to stave off a messy divorce in two weeks. Meanwhile global stocks rebounded after the previous day’s losses in many markets, though dealers trod cautiously, still reeling from Monday’s pummeling which came on the back of a drop in benchmark 10-year Treasury bond yields below those for three-month bills for the first time since before the global financial crisis. This so-called inverted yield curve shows investors are more willing to buy long-term debt — usually viewed as a higher risk — as they consider the short-term outlook more hazardous. That flip has preceded several recessions in recent decades. After last week’s rout and more struggles Monday, Wall Street posted solid gains, despite disappointing data on US home construction and consumer confidence. The S&P 500 gained 0.7 percent, off the day’s high point. Apple slipped more than one percent after an International Trade Commission judge ruled the company violated a patent held by chipmaker Qualcomm and recommended banning imports of some iPhone models. Paris stocks outperformed their peers after the French government reported its lowest budget deficit as a percentage of GDP in 12 years, and the Insee national statistics office upped its forecast for French growth. London, meanwhile, was held back by sterling’s strength which tends to penalize multinationals generating much of their earnings in foreign currencies.